“Keep me as the apple of your eye: hide me in the shadow of your wings,” writes David in his Psalm 17 prayer (verse 8, ESV). How amazing to think of God valuing me as the apple of his eye! To imagine myself sheltering in the shadow of his wings! Hear a just cause, O Lord; attend to my cry! From your presence let my vindication come! I have purposed that my mouth will not transgress (v. 3, ESV). Although God knows the innermost regions of David’s heart, David has confidence that God has forgiven all his sin and views him through Christ’s righteousness. But David has also made a determination to avoid sinful speech. He’s managed to keep from sinful actions by keeping God’s words always before him. my feet have not slipped (4-5, ESV). David not only has confidence that God views him as righteous, but he’s also certain that God answers believers’ prayers and shows his love to them. from their adversaries at your right hand (6-7, ESV). Following these confident assertions, David paints those beautiful word pictures to depict how much God prizes and protects his people. my deadly enemies who surround me (8-9, ESV). As David describes the heartless wicked surrounding the righteous, he compares an evil man to a dangerous lion, ready to attack and rend his victim. with their mouths they speak arrogantly. they set their eyes to cast us to the ground. as a young lion lurking in ambush (10-12, ESV). David asks God to take action and deliver him from the men of this world; men who have a plethora of possessions as well as children and grandchildren to inherit their earthly treasures. Arise, O Lord! Confront him, subdue him! from men of the world whose portion is in this life. and they leave their abundance to their infants (13-14, ESV). Despite the wicked man’s apparent success and prosperity, David knows that he is rich compared to him. when I awake, I shall be satisfied with your likeness (15, ESV). The righteous person will behold God’s face in glory, and will wake each day with the satisfaction of being renewed in God’s image. What lion lurks in ambush for you? If you believe that Christ is your righteousness, then you can be sure that you are precious in God’s sight. You are the apple of his eye! 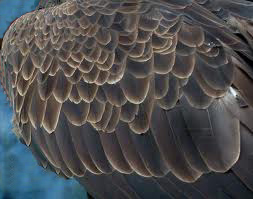 What problems or concerns seem ready to swoop down upon you? Trust God and take shelter in the shadow of his wings.